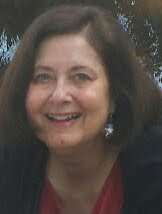 Baby Boomer Retirement: Social Security Decisions are Complicated! Social Security Decisions are Complicated! Many people assume that when they reach their early to mid-60's, they will simply quit their jobs, start collecting Social Security and the whole process will be fairly predictable. In fact, this is actually what the vast majority of people do. Sometimes it works out; sometimes people have regrets, especially when they learn that their friends are receiving a lot more money than they are. Making the right choices about Social Security actually involves some of the most complex decisions you will make in your lifetime. No one likes to make a costly and embarrassing mistake. It is easy to do, however, when you consider that there are actually 2700 rules that will affect your benefits. What are some of the decisions you need to make? Should the breadwinner in your family collect as soon as they turn 62, wait until their full retirement age of 66 - 67, or postpone receiving their benefits until the maximum age of 70? At what age should the spouse, and ex-spouses, apply for their benefits? Should you take the "file and suspend" option? Do you even know what that is? This book takes you through virtually all of the different options you have and the advantages and disadvantages of each. It also explains how to invest your investment savings in such a way that you will minimize the income taxes you will pay on your retirement income. 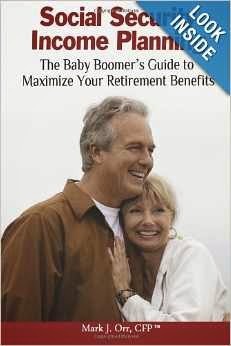 Make sure you read the most recent edition of this or any other retirement book that you order. Several significant laws changed at the beginning of 2016. For example, the File and Suspend option is no longer available to couples ... a program that substantially increased the retirement income of many couples in the past. After looking over the different books that have been written about Social Security, I felt that this was the most comprehensive and up-to-date book I could find. Whether you are getting ready to retire in a few years or you are decades away, this book will help you make the decisions that are right for you. Whether you read this book, a different one, or order all the available government brochures that explain Social Security, you owe it to yourself to thoroughly research what you want to do BEFORE you stop working and start collecting. After that, it is really too late. Since Social Security benefits make up the largest part of the retirement plans for the majority of people, this is not an area you want to neglect. There are many legal tricks you can use to maximize your benefits ... and the employees of the Social Security Administration are not allowed to tell you about them. All they will do is implement your benefits when you ask them to. You may also want to use the tabs at the top of this blog for links to hundreds of articles about where to retire in the United States or abroad, medical issues that may come up as you age, family issues and more financial planning ideas. If anyone could write dozens of articles on Social Security you could because you're so thorough, presenting only the latest information. I know I'm not the only one who appreciates being kept current. I'm flattered by your confidence in me and, of course, I do plan to write more articles on this topic. However, for someone who wants to read up on Social Security quickly, this book is an excellent choice.